​FILM. TELEVISION. LIVE EVENTS. The WEB. While with IFP (aka: FilmIndependent in Los Angeles) Sage produced a variety of film seminars, events & screenings. Sage gave feedback, insight & mentorship to filmmakers in various stages of development, production, finance & marketing. 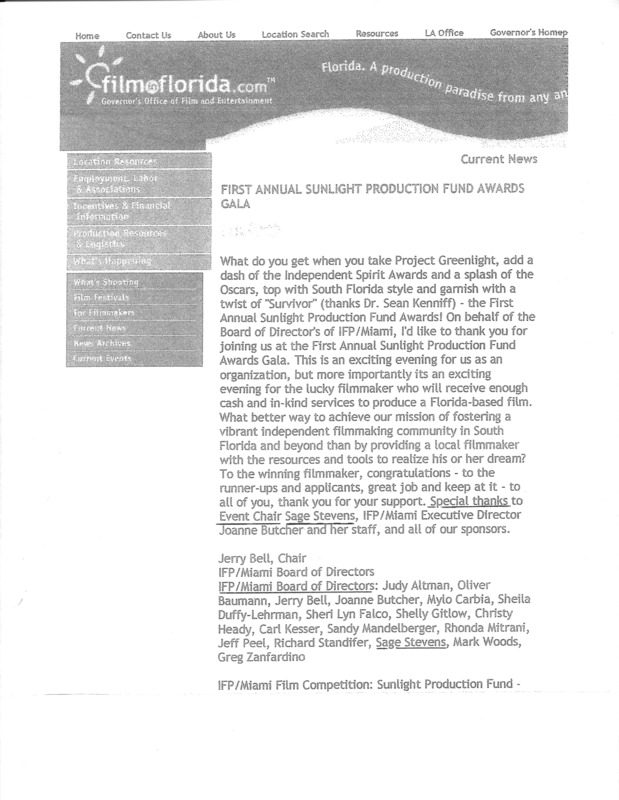 Press Release, Sunlight Film Competition & Gala. Producing Consultant / Screenplay Reading "On the Weedfront"
Stage Manager / Five Women Wearing the Same Dress, Acorn Theatre.